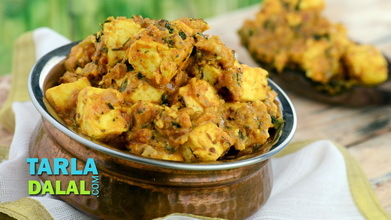 Paneer pieces marinated in an aromatic mint, coriander and cashew paste tossed in buttered onions. 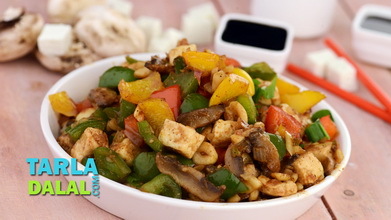 This is a very sociable dish if put in the center of the table where people can help themselves with toothpicks. 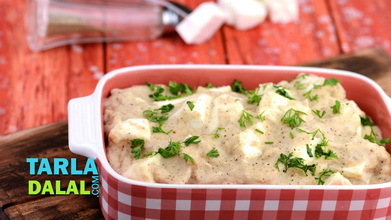 It can also be served as a side dish. 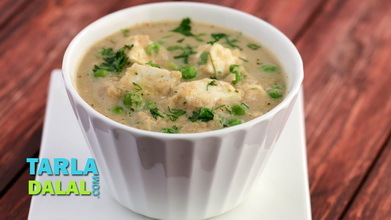 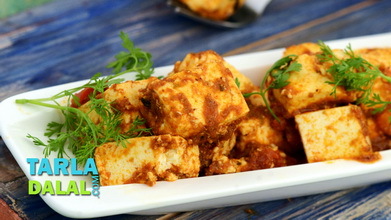 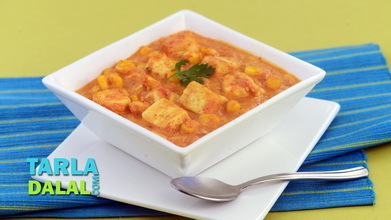 Combine the paneer along with the marinade in a deep bowl, toss gently and keep aside for 10 to 15 minutes. 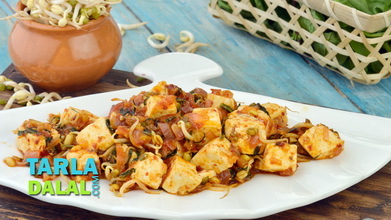 Heat the butter and oil in a deep non-stick pan, add the onions and sauté on a medium flame for 2 to 3 minutes. 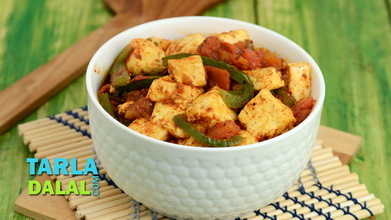 Add the marinated paneer, milk, garam masala and little salt, mix gently and cook on a medium flame for 2 minutes, while stirring occasionally. 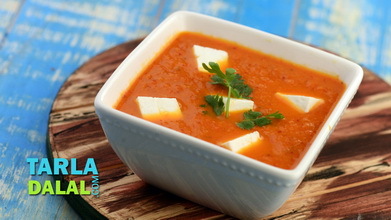 Garnish with onion rings and serve hot with parathas or butter naan.